Feed the Children provides elementary schoolchildren in Spotsylvania County schools who are on the federal Free and Reduced Price Meal Program, with food to take home for 38 weekends during the school year. That’s over 11,400 pounds of food! Food includes easy-to-prepare, ready-to-eat foods, like granola bars, juice boxes, tuna, canned chicken, ramen noodles, popcorn, mac and cheese, and oatmeal. There are 20+ million children in this country who are at risk of hunger. The consequences of hunger are much more than a growling stomach. Poor nutrition can result in a weaker immune system, increased hospitalization, lower IQ, shorter attention spans, and lower academic achievement. Children are fed during the school week by federal government programs, but we want to make sure they’re getting nutritional meals over the weekend, too. Gift: Because of the generosity of our congregation, we have committed to serve 150 students this coming school year (2016 – 2017). You can be a part of this commitment by providing a gift of only $90. 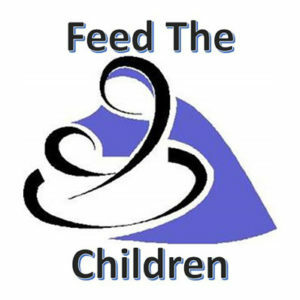 Your check (with the memo, “Feed the Children”) can be left in the offering plate or at the church office. • Delivering bags of food to Spotsylvania Country School headquarters on Thursdays. If you would like to participate please contact Stan Buch.